bbc.com: Remember when Kylie Jenner was rumoured to have killed Snapchat? Well, it looks like she’s found her lane with Instagram, as the star has topped a rich list by commanding around $1 million (£760,000) per post. 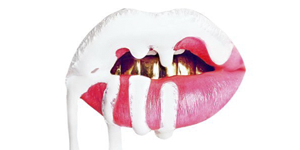 The Kylie Cosmetics star can reportedly earn herself the hefty amount of cash on the social media site, beating her older sister Kim Kardashian by $280,000 (£213,000). Despite having some time away from the cameras, while looking after her newborn daughter Stormi, Kylie has still managed to knock off last year’s highest earner – Selena Gomez. But both of them beat footballer Cristiano Ronaldo and the likes of Beyonce and Dwayne Johnson. Last year, Kylie was fourth on the list and below her sister Kim – earning herself less than half of what she can make now on $400,000 (£304,000). We’re not so sure that Kim, 37, will be too bothered as she was reportedly cashing in $1 million per minute thanks to her perfume sales recently and before that, it was her Kimojis. Hello! Today the kylie-jenner.org celebrates its second birthday! Yes, today exactly two years since we make you happy with the latest news and photos of Kylie. 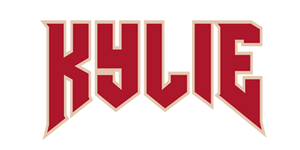 For two years we have become one of the most popular sites about Kylie. And got friends, especially I want to thank Dora, who helps us with the gallery. Thank you for staying with us! There’s been a giant question mark floating around the Kylie Jenner pregnancy rumor. Is she or isn’t she? The starlet has remained curiously tight-lipped about the rumors until now. Kylie Jenner confirmed she gave birth on Feb. 1, 2018, and fans couldn’t be more excited. TMZ first broke the news there were pregnancy rumors on Friday, Sept. 22. The outlet claimed close friends of Travis Scott dished that the 20-year-old makeup mogul was pregnant with the rapper’s baby. According to TMZ, Jenner had also been telling friends about the news for the past month or so. Although they could not “verify,” TMZ also claimed that Jenner is having a girl. Although Jenner and Scott have only been together since April, the two are basically attached at the hip and even permanently solidified their relationship with matching butterfly tattoos. 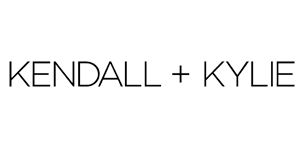 The butterfly is a nod to Scott’s popular song, “Butterfly Effect,” which many fans believe is about Jenner — mostly because it’s been reported that Scott’s cute-coupley nickname for Jenner is Butterfly. We get it, you’re adorable. She also shared an emotional video on YouTube confirming her pregnancy and sharing the emotional journey with fans. Jordyn Woods narrates, Kris Jenner gives her words of wisdom, and even Travis Scott makes an appearance. SOHH: Reality TV star Kylie Jenner is going to make sure Travis Scott is here for the long haul. New reports claim Kylie is happy af with the Texas rapper in her life. Recent reports claim Kylie is growing more and more attached to Trav. 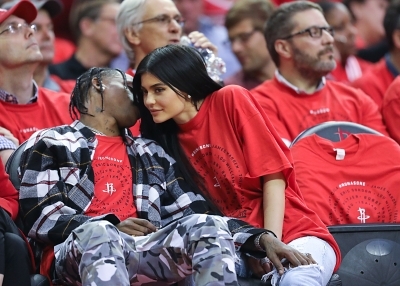 This week, buzz developed about Travis and Kylie finally turning into an official couple. Dailymail: She has moved out of her $12 million Hidden Hills home while she gets it renovated. So it’s no surprise Kylie Jenner, 19, has made this breathtaking clifftop mansion in Beverly Hills her temporary abode. New photographs show the impressive $125,000-a-month property, which TMZ reports is on the market for a whopping $35 million, in all its glory with incredible views overlooking the A-list hotspot. The five-bedroom majestic mansion, set in five acres of land, is perfect for the Keeping Up With The Kardashians star’s lavish lifestyle. Aerial images capture the home in its own perfect paradise as it stands on alone without another property in sight. The astonishing abode comes complete with a rooftop lounge area, glittering pool and a huge tennis court. Glamour: Kylie Jenner and Tyga recently split, but it seems like the reality-star has already moved on with Travis Scott. Especially since the pair were seen cuddling up in Miami. Kylie and the rapper Travis Scott were first seen holding hands at Coachella, having the best of times, and now photos have emerged of the new couple arm in arm in Miami for Travis’ performance at Rolling Loud Festival held in Florida’s Bayfront Park. Travis, 25, had his arm around the 19-year-old and the pair’s hands were interlinked. When the pair were first linked at Coachella, Kylie took to Instagram to share a snap of the festival, laying on the grass with Travis and some friends. Call it a festival fling or a new romance, Kylie’s single life has been treating her well. Aside from the desert parties, she has been out and about enjoying her friends, crashing proms, working on her own reality show, and promoting her new lip-kit collection in collaboration with her big sis, Kim Kardashian-West. Who has time to cry over men anyway – when you’re a Jenner? Not Kylie. Kylie and Tyga had been in an on-off relationship since 2015. Travis has previously dated Rihanna, and they were together for nearly a year (before her rumoured relationship with Drake).